Our Apple II emulator microM8 has recently added alternate font support, and includes additional “Fancy” and “SciFi” fonts to add an additional stylistic element to classic games. 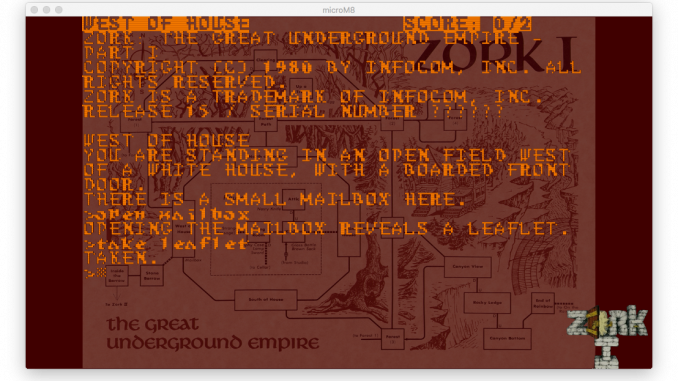 Check out this presentation of Zork I in the micropaks folder, available inside microM8’s file catalog. It uses a new font, a background image, a foreground overlay and changes the background and text colours – all using the pak configuration files! You can get microM8 from the microM8 Apple II Emulator page.